Bruno is pretty upbeat these days. 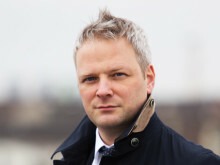 A few weeks ago, he reached an agreement with Belgium-based medical device company IBA. As stated in the agreement, Panalpina will soon be offering comprehensive value-added warehousing and global transportation services to IBA from its hub at Brussels Airport. “This important agreement is a result of our long-term vision and targeted business development in Belgium and Brussels in particular. We have a strong focus on the healthcare industry, including the fast-growing medical devices companies with their big presence here,” says Bruno Jacques, Panalpina’s country manager for Belgium. IBA, short for Ion Beam Application S.A., is a university spin-off company that has developed a highly targeted cancer treatment called proton therapy. This treatment delivers high-energy radiation doses via proton beam directly to the tumor. Some of the key benefits for the cancer patient are little to no radiation outside the tumor, a low integral dose per treatment and better quality of life during and after treatment. According to a recent report by iGate Research, there is an unprecedented demand for proton therapy and the number of proton therapy centers is increasing globally. 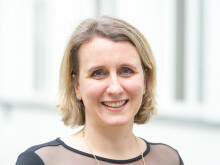 The report states that while the numbers of patients treated globally with proton therapy is still very low, the potential candidates for proton therapy are in the millions. IBA is the world’s leader in proton therapy, but the report points out that other players have also started to make their presence felt in the market. “That’s where we as Panalpina can make a difference for our customers,” explains Bruno. 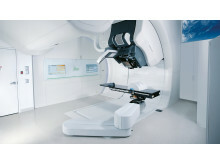 “Our experts across all functions, from air and ocean freight to logistics and sales, can help healthcare companies turn their supply chains into a competitive advantage.” In the case of IBA this means that Panalpina will assist the company with the installation and maintenance of a growing number of proton therapy centers across the world. Panalpina will either arrange end-to-end transport including customs clearance from IBA’s production site in Louvain-La-Neuve directly to a hospital or via one of the two Panalpina operated regional distribution centers in the U.S. and Singapore. 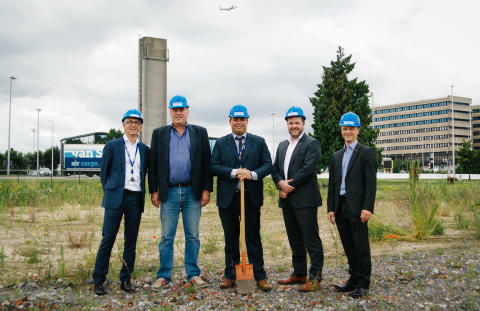 Starting mid-November, a new state-of-the-art facility in the BRUcargo area at Brussels Airport will act as the global logistics and transportation hub for IBA. 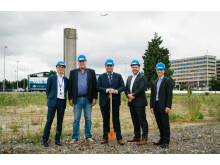 Brussels Airport Company as the land owner and Patronale Life as the investor and future lessor are currently building the new 2,800 m2 facility with nine truck docks. It will be run exclusively by Panalpina. 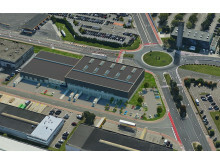 The new building is adjacent to Panalpina’s existing 2,700 m2 CEIV Pharma-certified facility, which has two separate areas where temperature sensitive goods can either be kept and monitored at ‘Controlled Room Temperature’ between 15°C and 25°C or between 2°C and 8°C. How does Proton Therapy work? from IBA Proton Therapy on Vimeo.